Onex One Page PSD Template is a clean template for your agency, studio or design company. You can customize it very easy to fit your business needs; “OneX” is a one page creative modern and multipurpose PSD Template. Template designed for WordPress, Joomla and other systems. In line with modern design trends, color fresh and dynamic. Creative Layout and Smart. Super Clear and Clean Layout! 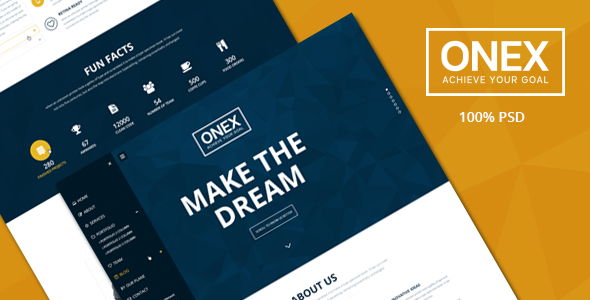 Item Reviewed: Onex One Page Multipurpose PSD Template 9 out of 10 based on 10 ratings. 9 user reviews.